Greetings everyone! Are you ready for the holidays? I am so looking forward to it with all that good cheer. I spent a ton of money during the DSD days. How about you? I think I spent over $200. I didn’t buy anything for the years of 2016 and 2017. I made up for lost time. Well I hope you like my mini that I created for Diane’s challenge. You may download the Coming To America mini from my Dropbox. Hello! I decided to hop on over to the Digital Scrapbooking Studio and view what was going on inside the Forums and checked out the Color Challenge with Diane. Her kit is super amazing and I don’t quite know how she comes up with her amazing kits each month. I am in total awe! Well here is my part.. please download it here: Dropbox Enjoy! I was a bit challenged with this month’s blog train colors. In the end my part turned out just okay. Any way I had fun working on it. I hope you enjoy scrapping with it. Download my part here, A Beautiful Mess! March is here already, woweee! Can you believe it?! I decided to go ahead and join the color challenge with Diane. She does such lovely kits! It is fun to join, and plus it helps me become a better designer. Practice, practice, practice. Without further ado, here is my kit… you can download it from my Dropbox here: A Beautiful Mess! Hello! I’d thought I would give it another try with Diane from ADB Designs Color Challenge over at Digital Scrapbooking Studio. The colors that she chose for this challenge were very pleasant. I hope you enjoy my part here: A Beautiful Mess! Choo, choo! All aboard the Mymemories Express Train. I hope you are enjoying your stops as you are grabbing goodies along the way. I hope you will like my part. Also, take your time to visit my other posts. They are chuck full of freebies. 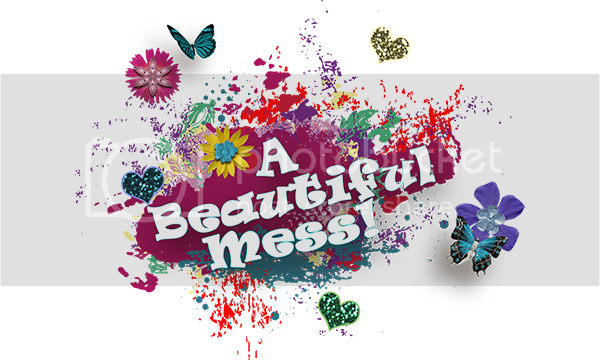 You may get my part here: A Beautiful Mess!